Please avoid direct sunlight, avoid high temperature and humidity, stored at room temperature. Ingredients: [pudding] milk, sugar, cream (dairy), cream cheese, egg yolk, gelatin, gelling agent, flavoring agent, stabilizer, emulsifier. 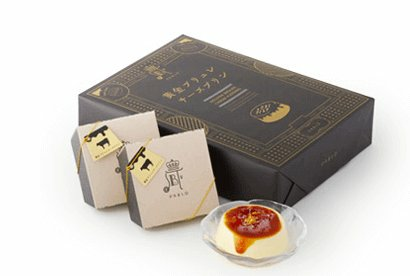 Shop PABLO cheese pudding online at Hommi.We ship worldwide,free International Shipping over 8000 yen.See Price, Brand, How to use, Images, Customer Reviews, Questions & Answers for PABLO cheese pudding.Customers who viewed this item also viewed Orihiro Puru do and konnyaku jelly,Mannan Life蒟蒻畑可以吸的果冻 健康低卡,Sakura jelly pudding spring limit,ORIHIRO Puru do and konnyaku jelly standing 130g,Hori Yubari Melon small Jelly 12pcs.You can also buy Osaka, Japan Pablo Napoleon cheese cake and more PABLO at Hommi.